Often overlooked by bikers desperate to ride the Alps region and its famous passes, the Vosges Mountains area is one of biking’s best not-so-secret destinations. 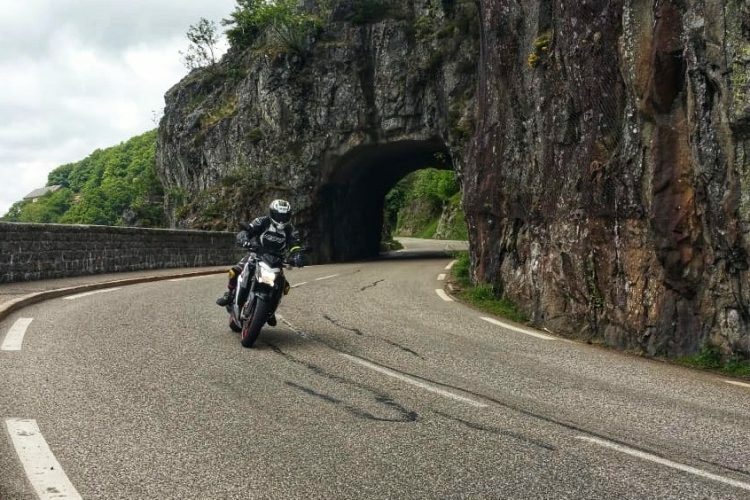 It’s no secret that the Vosges Mountains and Germany’s nearby Black Forest offer some of the best motorcycling roads and scenery in Europe, yet many bikers have never heard of the area, instead thinking that the only mountainous region worth doing in France is the Alps. We spent a week motorcycling in the Vosges to see what they’ve been missing. The Vosges Mountains nestle alongside the French-German border in the Alsace region, in northeastern France. Switzerland isn’t too far away and can be reached in just over an hour depending on where you are staying. 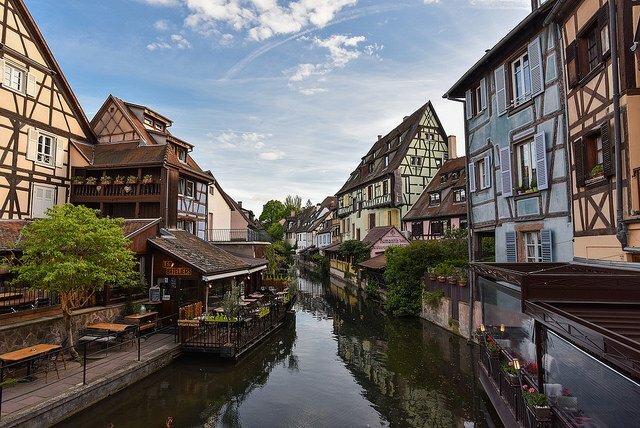 The Alsace has been traded between Germany and France five times in the last 350 years alone, so it’s a curious mix of French culture and German aesthetics and place names. With a now completely open border it’s very easy to cross over the Rhine into Germany proper, which has a very different feel – neater and more organised somehow. The temptation to do this will be strong as, from our base in the southern Vosges, the legendary B500 is reachable in under 90 minutes. You’ll want to be doing that. The Vosage’s tri-state location means you have access to a wide riding area covering France, Germany and Switzerland. The Vosges is actually two areas. The Vosges Mountains themselves are split into the northern Parc Naturel Régional Vosges du Nord and Parc Naturel Régional des Ballons des Vosges, which is the southern area. Between the two are much gentler rolling hills and flatlands. 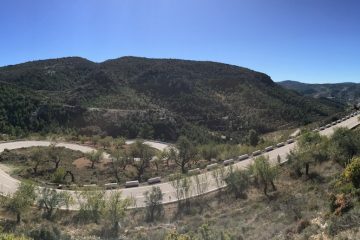 The southern area, nestled around the highest peak, the Grand Ballon, is closer to the regional towns of Colmer and Mulhouse and may be the better bet should you need to get a new tyre or the assistance of a mechanic if your bike is playing up. It’s more commonly known as the Haute-Vosges, or Higher Vosges, with at least four mountains coming in at over 1200m. The northern area is more rural, but also physically larger. The Vosges du Nord sits within France, but the mountains and their roads continue over the border to become the German Palatinate (Naturpark Pfälzerwald). Each range has plenty of twisty routes to and from the various summits, many of which have a cafe restaurant perched at the top for a bit of a breather. The area is also a skiing area in winter and a walking and cycling destination in summer. 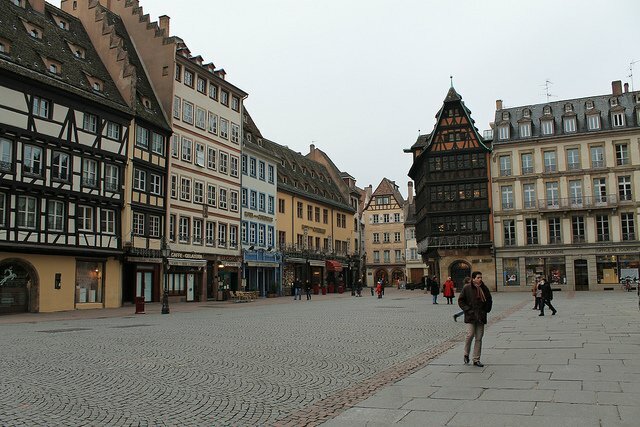 For our riding holiday purposes, we see it as three areas – the two Vosges and the Black Forest – each distinct enough to explore, roughly in a triangle around the French city of Strasbourg. 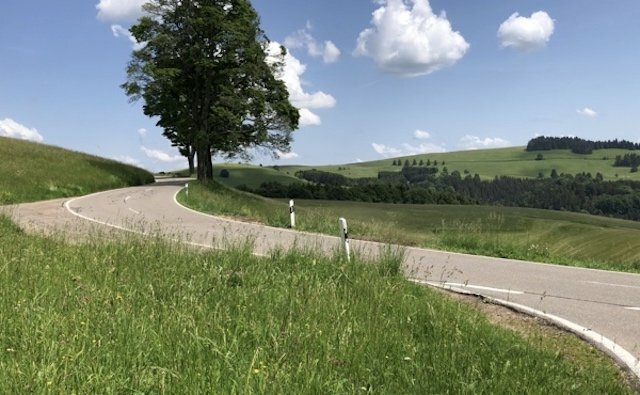 We bring up the Black Forest, even though it’s around a 90-minute ride from the Grand Ballon because it is home to the legendary B500 – 40 miles of sweeping curves and twisty bends through beautiful countryside and widely recognised as one of the best rides in the world. Plus all of the roads that run of it. Yes, it’s the second and probably not the last time we’ve mentioned the B500, but it’s that good. Put aside a whole day for it. You can easily reach the Vosges in a day from Calais: Route one is €27 worth of tolls on the Autoroutes. It takes around six hours excluding breaks and fuel stops and you can plan your route and charges here. We still got there in an admittedly longer day by avoiding the tolls and going for maximum fun factor, coming down through Belgium and Luxembourg before heading through Ardennes, Verdun, and the Lorraine area. As we were cracking on, keen to make the most of the roads, we missed out on the historical side of passing through Ardennes and Verdun, but if you have the time it may be worth taking longer, with an overnight stay in Verdun, Metz or Nancy. 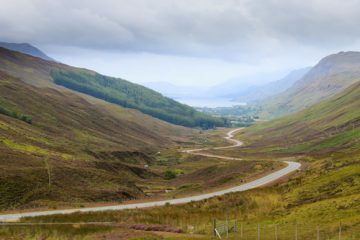 You’ll take in not just the history but the sheer beauty of the region and it’s quite easy to plan a route through four stunning national parks. From Calais head to Lille then the Parcs Naturel Régional Scarpe-Escaut, de L’Avesnois, des Ardennes and de Lorraine. Another option is to fly-ride. In Strasbourg, you can rent a Triumph Bonneville Street Twin from €83 per day although if you wanted to carry luggage you’d be better off with something like a BMW F880 GT at €110 per day or BMW R1200GS at €149 per day, all here. If you are looking for something more suitable for scratching, we found a BMW R Nine T at €150 per day. With the non-touring bikes you might not get anything more substantial than a tank bag included to carry your luggage, so it’s wise to bring your own panniers and check the model of bike you are hiring can accommodate them without the exhaust setting fire to your smalls. 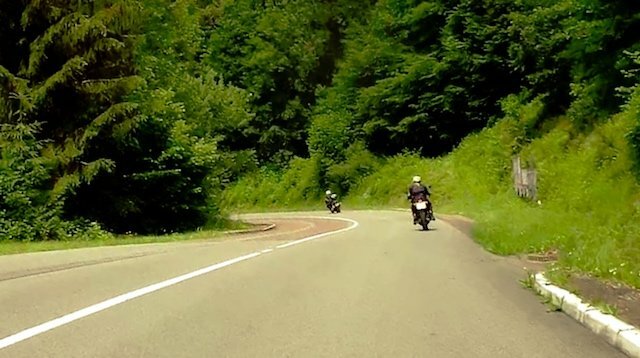 The Vosges area offers some of the greatest motorcycle riding roads in Western Europe, if not the world. 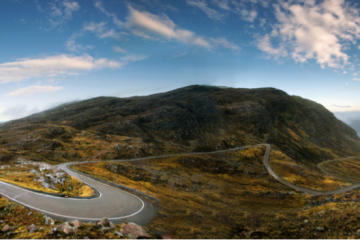 While not as familiar to Brits as the Alps, the region has a truly epic number and variety of twisty routes, with everything from mountain hugging corners and hairpins to long sweeping drives through forests and meadowland. The area is teaming with nature parks, both on the French and German sides of the so-called border (blink, and you’ll miss it). 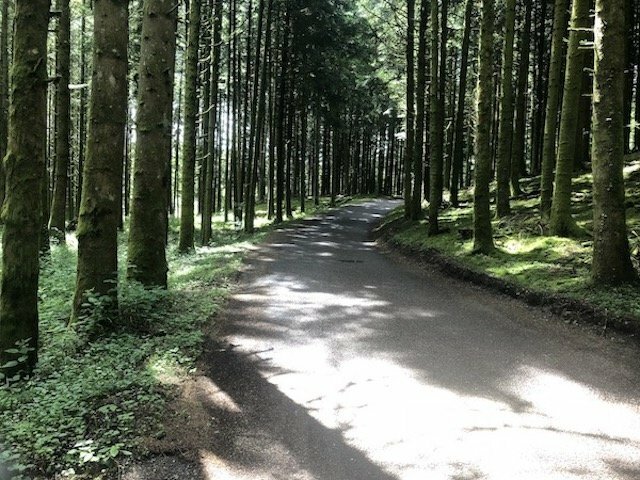 Where the Alps, certainly the high passes, appeal to those who often like pretty rugged scenes, the Vosges is all about the greenery – it is truly beautiful. You will often find yourself twisting through bend after bend on a heavily wooded mountainside road then suddenly there will be a break in the trees and you are beside a heart-stopping vista with a view of mountains that stretch for miles. You can stop to drink it all in frequently. The general standard of the road surfaces are very good indeed, although race-track smooth tarmac isn’t universal. You will come across a few roads laced with the twin dangers of over banding and loose chippings and a phenomenon where rubber from many vehicles’ tyres turns into glossy skid-pan style tracks – the trick here is to ride between the tracks on the coarse chippings which, although they don’t look it, are actually quite firmly embedded once the tracks either side have reached the ‘black ice’ stage. That said majority of the roads are very well maintained and faster riders, keen to take advantage of the glorious curves, will take confidence in the grippy surfaces to scrape a peg here and knee slider there, as often as they like. Much of the area is typical rural France, a mixture of sometimes drab, sometimes achingly pretty towns and villages. Most beautiful of all on our visit was the medieval town of Colmer. Although bordered by modern apartment blocks and industrial estates, the centre of the ancient town manages to out-do our own York for the number of perfectly preserved timber-framed buildings overhanging narrow cobbled streets. You should definitely plan Colmer as a destination for at least one of your ride-outs, preferably with lunch as the focus. And then there’s the B500, but you probably have got the idea about that now. Aside from the riding and the beautiful landscapes, the other obvious attraction is going to be the food. This is France after all. The good news is, even if you are self-catering, the local produce is superb, it seemingly being impossible for the French to produce a lousy cheese or ropey pâte. Then there’s the wine. 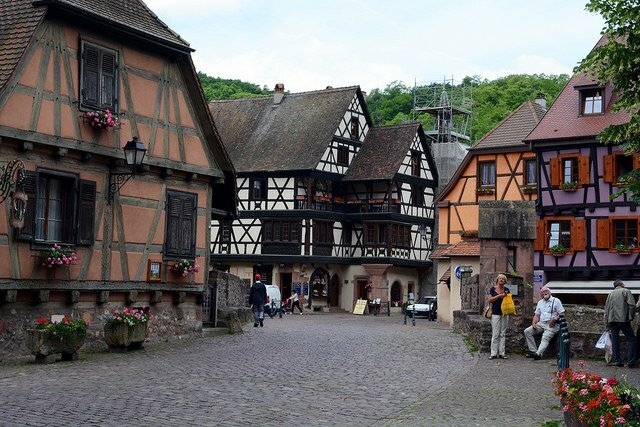 And the small matter of the Alsace being France’s main beer-producing region (tip, get friendly with the bar owner and let them recommend the best local beers). If you didn’t spend all of your time flicking rubber bands at classmates in geography lessons, you’d know that rivers are formed from streams and streams start from rain falling in the mountains. When it rains here it really rains. In our seven-day trip we got adequately soaked twice, in some stunning thunderstorms. Ironically, one of these soakings took place just outside of Colmer, the second driest town in France and protected from the bigger drenchings as it’s on the east side of the mountains, the west collecting the most of the rainwater as the clouds travel overland from the Atlantic. With one eye on the horizon, it’s entirely possible to track the darker clouds and find somewhere to shelter – the fact is the weather is extremely changeable, and forecasts of day-long rain can quickly turn into nothing but blue skies all day. Did it spoil the riding? No. With the proper kit and drying facilities it really isn’t a problem, and it only adds to the experience. There is no particular sweet spot of rainfall/temperature as you’ll see here but we’d guess that both late May and September might be the months to head for if you are determined to try and ‘win’ the weather. Being such a beautiful region, the Vosges Mountains have plenty of accommodation options. There are plenty of campsites and this being France, where camping is extremely popular, most sites are very well equipped, often having swimming pools, tennis courts and other leisure activities. Many also have onsite bars and cafes, making it easy to get in a full days riding then relax with a beer or two. Lodges are also popular in France and can often be found on the larger campsites. The advantage here is that you are better protected against bad weather – and as we found, this being a mountainous region, the weather can offer a few surprises, as we‘ve already mentioned. It’s kind of the luxury camping option, but because of this, the costs are going to be higher, starting at around £25 per person per night if you are sharing a large lodge in a group. Another popular option, especially for bikers travelling in a group, is to hire a gité for a week and use it as a base camp. On our visit, we travelled as a group of 15 and hired a gité Saturday to Saturday in late May / early June. Including self-catered food, this came to around £400 per person for the whole week. With such a large concentration of great riding roads in a relatively small geographical area, basecamps – a single accommodation venue you stay in every night – are the best way to go. Packing and unpacking a tent every night does give you the option to explore the towns more, but this trip is more about the roads. We’ve already mentioned the rainfall, but as you can pretty much guarantee at least some rain, we wouldn’t use it as a factor. In the mountains, heat isn’t going to be a huge problem, although temperatures do rise in the surrounding plains if you are visiting vineyards and towns like Colmer. The recommendation we would make is probably to avoid August, the month of the French national holidays. We say national as it seems every single person, except those serving in the bars and restaurants, go on holiday. For the whole month. As we’ve already mentioned, when you need a new tyre or someone to look at your bike’s mechanics, this could be a factor. If you are determined to visit in August though, book your accommodation well in advance. It’s in the Biker’s Bucket List because? The roads, baby, the roads. Oddly, we came back with very few pictures that show just how good they are. This is because they are so good, so very very good, that we completely forgot to stop and get the cameras out. And if the French mountain roads are already pretty damn good, they are only a taster for that other road, that runs between Baden-Baden and Freudenstadt. You know the one we mean. All prices, times and schedules are correct at the time of publishing. This article was first published in August 2018, updated April 2019.